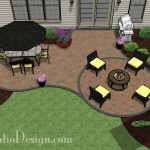 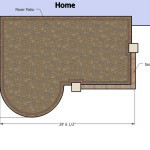 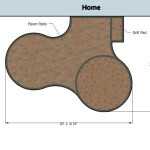 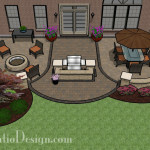 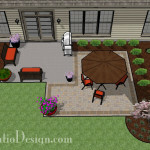 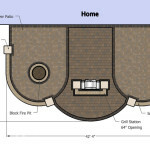 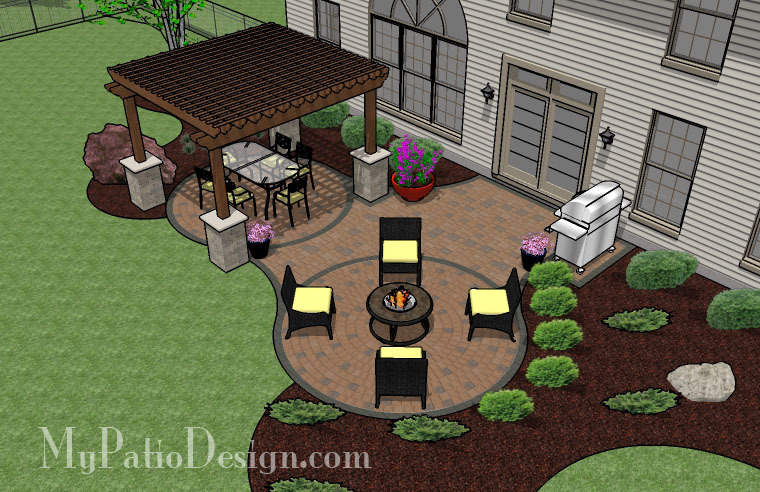 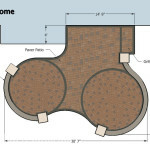 This 445 square foot patio is curvy and includes two circle designs. 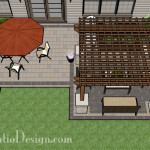 The dining area is covered by a cedar pergola. 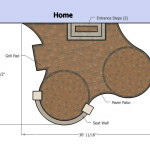 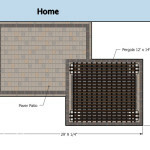 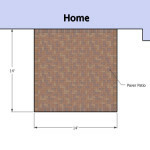 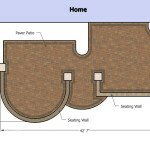 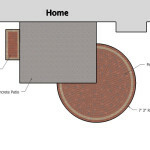 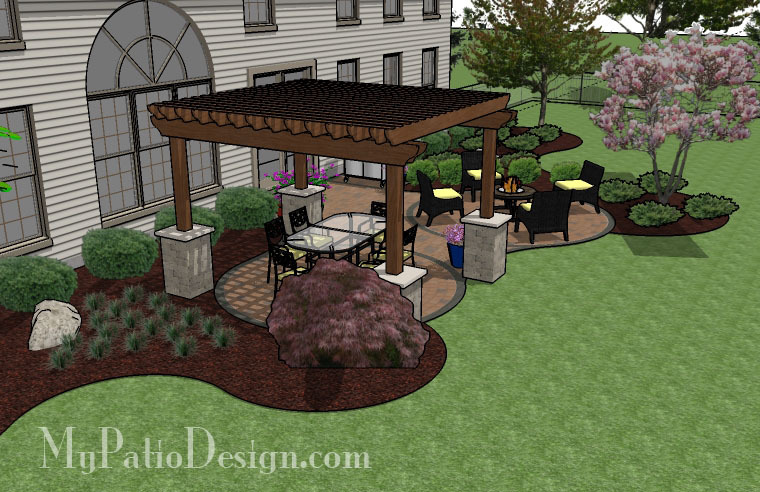 The pergola is 12′ x 14′ and the posts are secured by stone columns. 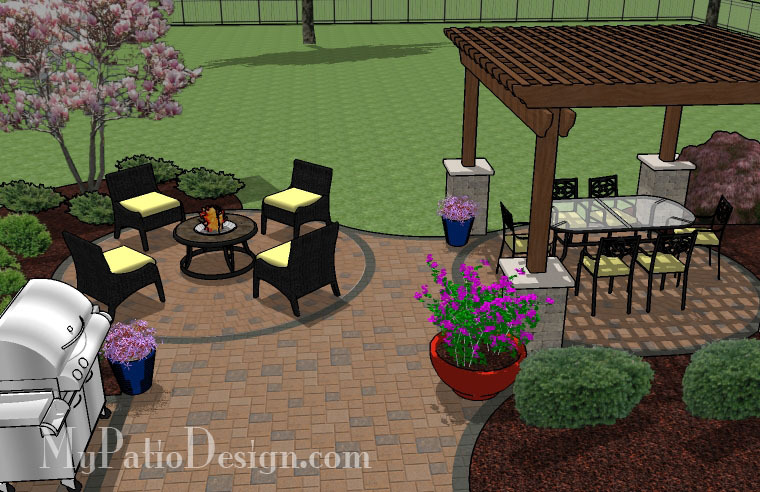 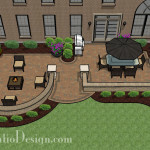 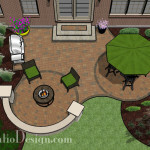 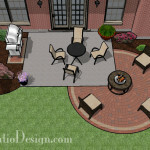 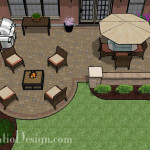 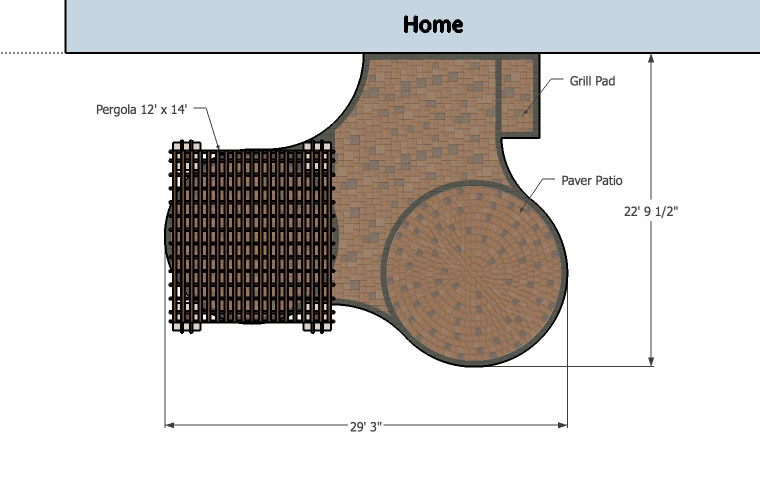 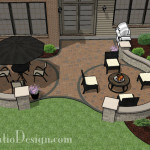 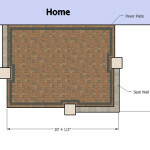 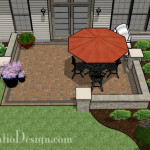 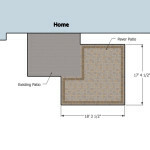 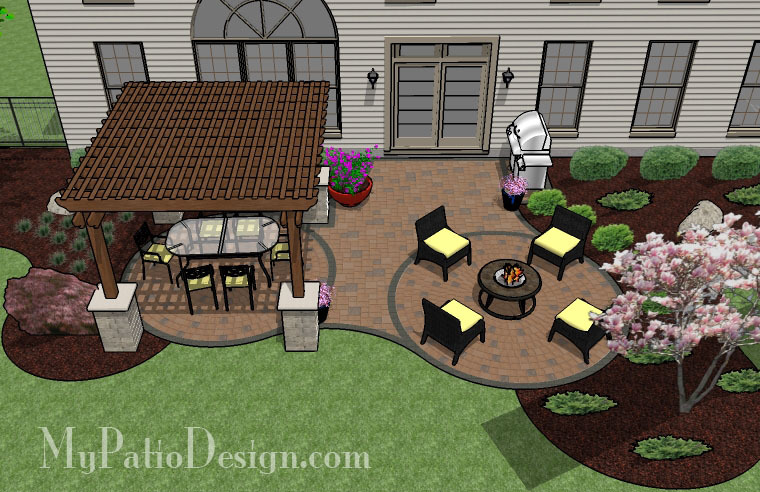 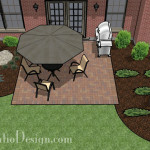 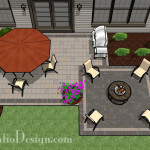 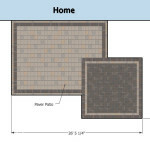 The patio also has room for a fire pit and a grill.